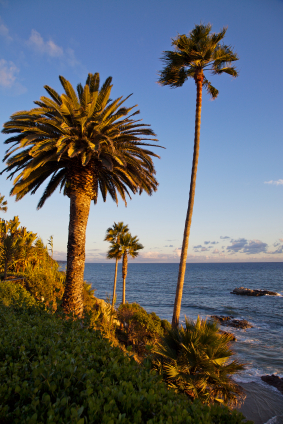 For an active good time, The Laguna Coast Wilderness Park in Laguna Beach provides enough wide open space for trail running, mountain biking, horseback riding and scenic hiking. You can even bring a picnic and simply relax by the sea. One of Orange County’s best kept secrets is the The Fun Zone on Balboa peninsula. This blast from the past features restaurants, fast food stands, arcades, gift shops, boat rentals and whale watching excursion. The permanent carnival by the sea has rides including a Ferris wheel, carousel and bumper cars. South Coast Metro in Costa Mesa has one of the most extravagant shopping malls in the U.S. South Coast Plaza and nearby Crystal Court boast an abundance of cosmopolitan shops, art galleries, and popular eateries that have earned international recognition. Just across the way is The Spa, a luxury day spa where you can indulge yourself with treatments such as an Ayurvuedic Herbal Body Therapy or Bio-Marine Skin Balancing Facial. If you are looking for an all inclusive entertainment complex, Irvine Spectrum in Irvine has everything you need to spend a fun-filled afternoon. There are specialty kiosks, a Cold Stone Creamery that serves heavenly ice cream concoctions, a 21 theater Cinemaplex with daily IMAX screenings, an interactive arcade, and shops and restaurants to meet every taste; including a Cuban Cigar Factory. There is a place where its winter time 365 days a year. At Gotcha Glacier in Anaheim, excellent snow conditions are available for snowboarding, skiing and ice skating. There are also themed restaurants, an arcade and a snow play area to complete the picture perfect winter atmosphere. And of course, hot chocolate is served on the premises. Sunset Beach has Kayaking by Sunset Yacht Rentals available for those who prefer to get a little exercise while they see the sights. Tour the waterways of Huntington Harbor in a kayak, canoe, zodiac inflatable or motorized tri-maron. The boats are available to rent right off of Pacific Coast Highway. The most interesting characters of California myth are the surfers who ruled the waves and created the legends of The International Surf Museum in Huntington Beach. The museum is a tribute to the pioneers of the sport of surfing and is home to all things surfer. There is surf memorabilia, vintage surf wear and surfboards, and classic surf films. Kowabunga! Pat Moore Foundation's drug & alcohol detox and alcohol & drug addiction treatment programs are licensed and certified by The State of California. We provide non-medical and medically managed detoxification (using Suboxone, Subutex, and Buprenorphine when appropriate) and primary residential treatment. We are located in Costa Mesa, in Orange County, Southern California, close to Newport Beach and Huntington Beach, and only an hour's drive from Los Angeles and San Diego. To speak with a counselor, please call us 24-hours at (888) 426-6086 or if you'd like us to contact you.